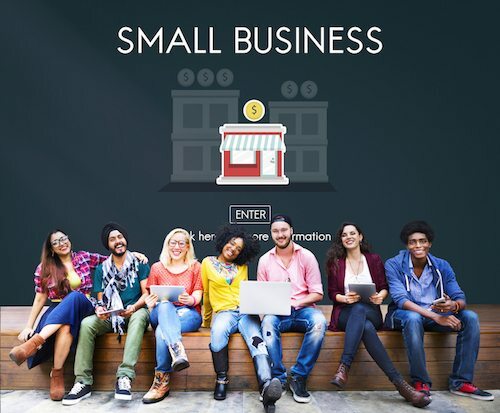 A recent Australian survey has found that many small businesses misunderstand the significance and importance of marketing. Many want to know how to use marketing to their advantage, but struggle to find the resources to help them master the process. Many small businesses take a short-sighted view, opting to focus on attracting new clients, rather than marketing their business. Basic Bananas co-founder Christo Hall lead the research team into marketing opinions among small business owners. Are you a small business struggling to find the right marketing mix to promote your business? Take a look at the following tips, guaranteed to see your business grow. An important first step when planning how to market your business is deciding how you want to be perceived. Start with a strong list of adjectives and work from there. Is your business young, old, fresh, luxurious, modern, contemporary, adventurous, safe, energetic, vibrant, fast, or balanced? The more creative and less conventional these terms, the higher chance your business has of standing out from the crowd. That means moving away from the traditional ‘professional’, ‘quality’, and ‘experienced’. The perception you envisage for your business should be embraced within the organisational framework, including by your staff and in all business relationships you foster. The market is becoming more and more cluttered with an increase in advertising messages across all channels. So it is important to differentiate your business from your competitors. Unfortunately, many businesses choose to replicate their competitor’s messaging strategy because they seek the same success that the competition has experienced. But once a message has been promoted, it’s off the table. Simply replicating messaging without a strategic backing for your business will only end in wasted effort. What is the current frustration in my industry? What would make working within this industry desirable? Creating a list of all your business’ touch points is an effective means to start thinking about where your key message will be promoted. This could include anything from phone calls to emails, social media to store fronts. Think about how you can amplify your message across these touch points; promoting the brand personality and unique selling points to differentiate you from the competition. What makes your business the best in your industry? Find the answer and use it to your advantage. These messages should reflect your brand personality and desired brand perception also. Consistent marketing messaging and strategy is vital in taking proactive control of how others perceive you and your brand. A lack of consistency will leave customers confused, which is bad for business. Consistency aid is familiarity, trust, and as a result, an increase in sales. Start your marketing journey off on the right foot. Download our FREE Strategic Marketing Guide here. You’ll find 16 pages of tips and tools to help you strategize the year ahead. Or perhaps you might like to check out our blog on switching up your marketing methods before you start.